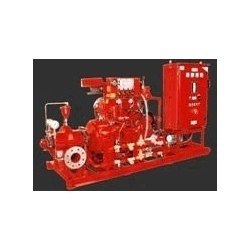 Being a market leader of this domain, we provide the handpicked quality of Fire Pump. For designing these products, our vendors make use of best quality of materials and latest machinery. Being the leading names of the industry, we are engaged in offering a varied series of Diesel Fire Pump. As per the varying requisites of our customers, we are engrossed in bringing forth a world class consignment of Industrial Fire Pumps. Widely cherished and acclaimed owing to their reliability, these are massively accepted. Also, these are accessible with us in a range of provisions at market leading rates. 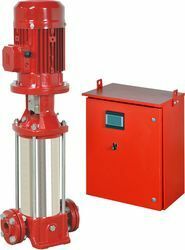 Armstrong series 40MF end suction fire pump is the perfect solution for small capacity diesel driven fire applications. It offers all the well known features of Armstrong Quality products. Assisted by enormous business proficiency and competence of this business arena, we have come up with an inclusive array of Fire Pumps. We are leading supplier of Fire Diesel Pumps from Pune. We are majorly focusing for queries in Maharashtra. UL Listed pump sets for fire pump application from 200 GPM to 1500 GPM. We are a progressive firm engaged in supplying an extensive range of Fire Pump Houses. Our products are in compliance with the international quality standards. These are designed as per the clients requirement using superior quality raw materials. We provide services in and around PUNE ONLY.